Our janitorial services are unique due to the depth of our understanding for the customer's individual needs. Supported by constant innovation, all aspects of our services exude quality. We have the expertise, the experience, staff, equipment, knowledge and understanding required to meet all your janitorial service needs. You can have confidence that day in and out 4A's Cleaning will make your business shine. 4A's Cleaning disaster and emergency response time minimizes the property damage that can de caused by a flood. We are available 24-hours a day, 365 days a year and because speed is essential when it comes to water restoration, we can be there within 1 hour for most jobs. Our technicians are certified by the Institute of Inspection, Cleaning and Restoration. We will answer your questions, we are ready to respond and committed to excellence and always available. 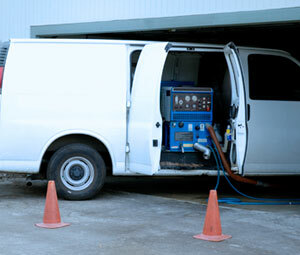 We understand how difficult and stressful unexpected events can be and this is the time for a prompt, courteous and sensitive service that will solve the issue at hand with further damage prevention, environment stabilization, monitoring of the drying process and ensuring that all work has been completed to your satisfaction. We're so glad you chose to visit us today. 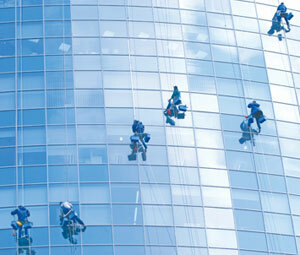 Window cleaning is time intensive and offen difficult and/or dangerous. It typically involves climbing ladders and after almost endless hours of work, changes are you'll still have smear and streaks. Windows are your portals to the world. They invite nature into your office space, bring sunshine and light. When well kept and clean, windows add a touch of tasteful elegance to your office, creating a pleasant and hospitable atmosphere. All of our work is 100% satisfaction guaranteed. We are insured for your total peace of mind.